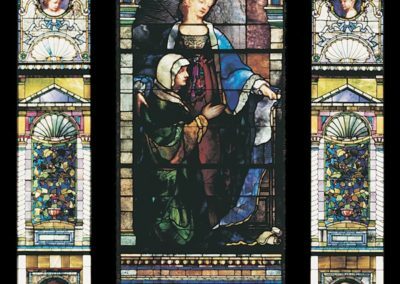 To conserve the 18-foot, triple lancet opalescent window created by famed American stained glass artist John La Farge for Old Stone First Presbyterian Church in Cleveland, Ohio. 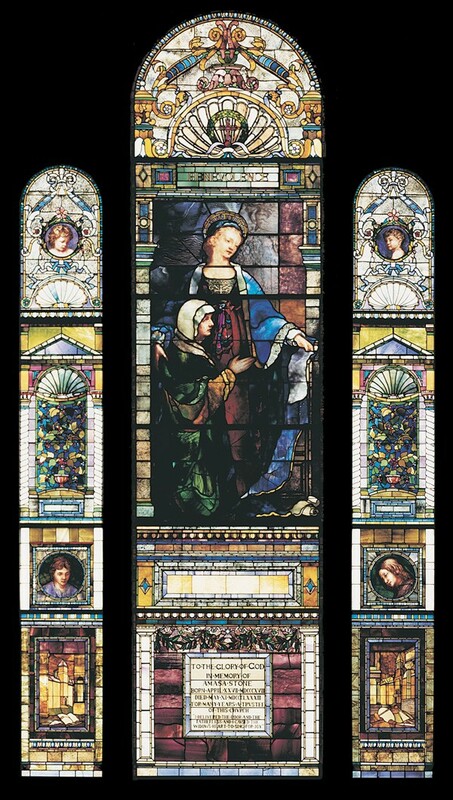 The 115-year-old windows, Visitation of Mary to Elizabeth, suffered from deteriorating lead and subsequent damage to the glass. After thorough examination and documentation with photographs and rubbings, the window was de-leaded and the glass was cleaned. 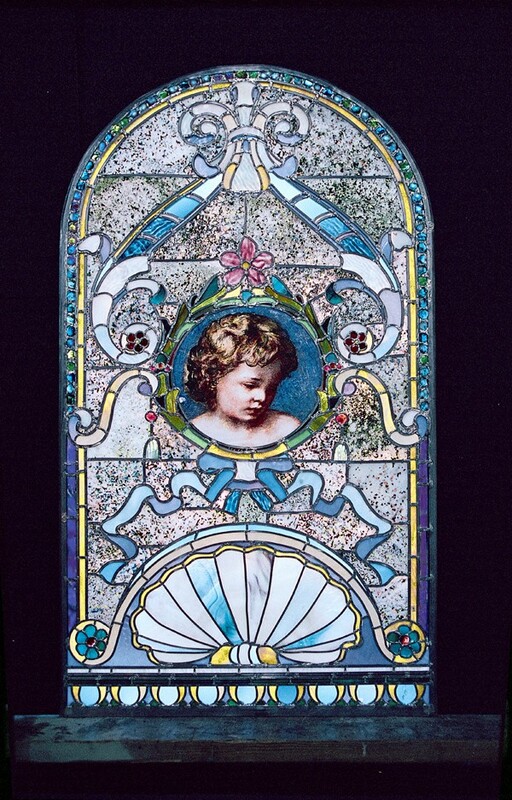 Cracked pieces were edge-glued with conservation epoxy and tinted to match the existing glass. 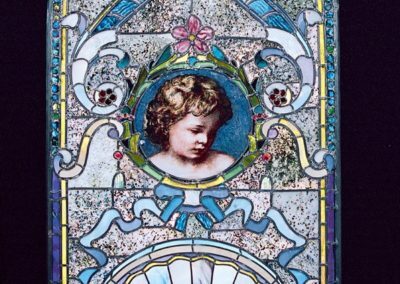 The re-leading of the panels was very labor intensive because, in some areas, La Farge had several layers of glass or “platings” used to achieve a greater richness of depth and color. By contrast, some other pieces of glass were smaller than a dime. Re-leading under these circumstances required the highest level of skill from the glaziers. Conrad Schmitt Studios rehabilitated the window frame on-site at Old Stone Church and installed new, vented storm glass. The Visitation of Mary to Elizabeth can now be enjoyed and appreciated for another 100 years.